But it's wrong to suggest, as Martin Indyk concludes in The Atlantic, that the Trump administration's Middle East policy is effectively no different from President Obama's “leading from behind.” Critics are not giving Trump enough credit: He does have a strategy for Syria and the broader Middle East. Martin Indyk, the former U.S. special envoy for Israeli-Palestinian negotiations, used the prime minister's nickname in labeling his attack on NIF a “Bibiesque/Trump-style deflection.” “He was the one to negotiate, sign, announce and then renege on the agreement on asylum-seekers. But it's not his fault. Vladimir Putin's Grand Bargain to Netanyahu: Can Israel Digest It? Mehdi Hasan: Martin Indyk, your former boss, US Secretary of State John Kerry, has said that the United States can, "serve as the facilitator, the honest broker in an effort to reach a peace deal in the Middle East." But given the US supports, funds, arms Israel, the occupying power, that's nonsense, isn't it? 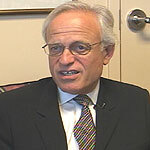 Martin Indyk: Obama "Has Essentially Written Off Netanyahu"
... aftermath of the Gulf War and what was known as the Desert Storm at that time, Martin Indyk, then executive director of the Washington Institute for Near East Policy and foreign relations analyst with expertise in the region, explicated that anti-American feelings have "long been present in the Arab world". GCC crisis: What's behind Trump's volte-face on Qatar? Was Trump's Jerusalem declaration a honey trap? ... found myself bundled off to the Middle East with another great Brookings scholar, and one of the foremost diplomats of our time, Martin Indyk.